The new High Power Output simplifies wiring and removes a potential failure mode in breaker TRIP/CLOSE circuits. Stuck breaker scenarios and control misoperations can subject the breaker TRIP and CLOSE circuits to highly inductive breaking beyond conventional ratings of typically less than 1A @ 40ms L/R time constant. Beefy interposing relays may be able to handle this high “inductive kick” but they are a costly addition to the control circuit. The Orion I/O High Power Output Card extends inductive break capability all the way to 10A @40ms L/R @145V dc, sufficient to handle highly inductive TRIP/CLOSE circuits, notably with older breaker TRIP/CLOSE coils. Make and carry specifications remain unchanged at 30A and 10A respectively. The 16-point High Power Output Card configures identically to the standard 16-point Output Card. Combined with the 16-point Wetted Input Card, breaker control and monitoring circuits are further simplified. 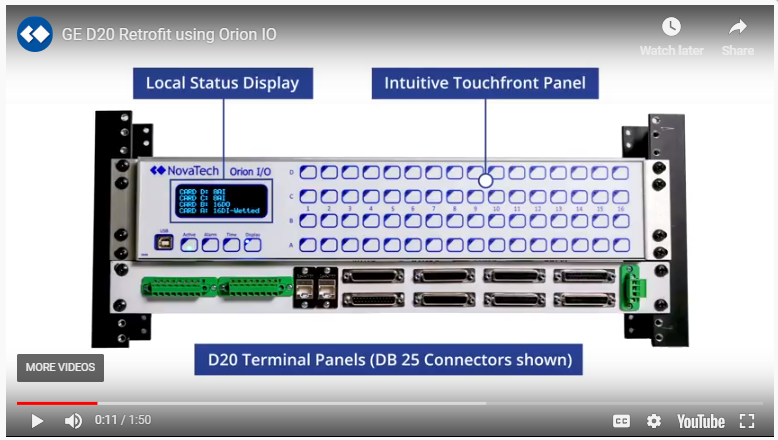 Click here for full details on the Orion I/O. …any point in the Orion database can be logged in Orion syslog? 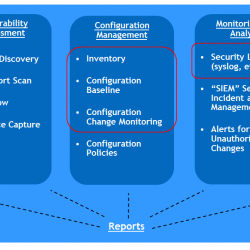 Orion syslog is preconfigured at the factory to automatically log security-related events such as who logged on, how they logged on, what pages they viewed, whether they changed the configuration or time, etc. 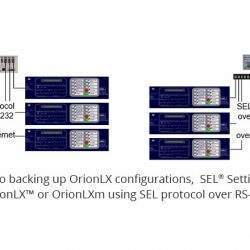 But any database point in Orion such as breaker status, control commands, relay alarms, etc can also be logged in syslog by using the “System Logger” software feature which is standard on any OrionLX, OrionLXm or Orion I/O. In the examples, breaker control and status points are logged in syslog. The syslog data can be streamed to an enterprise syslog server, or can be retrieved as a .csv file, or pushed out using Orion FileMover. 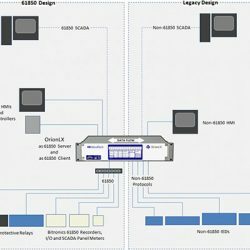 With the addition of 61850 Server support, the OrionLX can now provide a complete 61850 solution with Client, Server and GOOSE subscribe/publish. 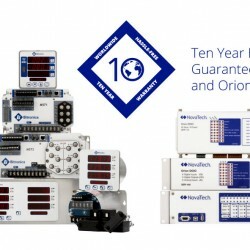 The warranty on OrionLX and DxIO products is now ten years. 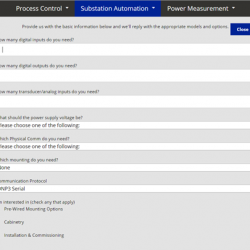 An I/O selection tool is available on our website to help us work with you to determine which of our four substation I/O solutions is best for your application. 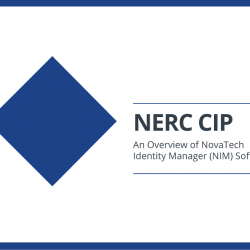 NovaTech offers both enterprise products for NERC CIP compliance and OrionLX products for NERC CIP compliance.